The Paroli roulette method is a system for betting on roulette that makes it possible to win large sums without having to risk a lot of money with high wagers in the process. Compared to some other roulette betting systems, the Paroli method is seen by many to be a low stress option, and it is rather straightforward once you have practiced it. As a result, this method of play can be great for players who want to have a fun, yet profitable experience at the table. Because you’re not making huge wagers, you don’t have to stress as much when you lose a spin, which is why many people prefer the method of playing roulette over some other options like the Fibonacci Roulette method. Read on to learn more about the Paroli roulette method and how it works. To understand the advantages of using the paroli roulette method, you only need to take a closer look at the Labouchere Roulette, which is considered by many to be the most commonly used roulette strategy. With Labouchere Roulette, you basically double your bet each time that you lose, so that you can recoup two losses with each win. As a result, when you end up on a losing streak at the roulette table, you can quickly begin to find yourself making very large bets. The Paroli roulette method is the exact opposite of the Labouchere Roulette. You only increase the size of your bet when you win. As a result, you take more risk when you are winning and are unlikely to become as stressed while you play. While you do risk less when you use the Paroli roulette method instead of the Labouchere Roulette system, you need to keep in mind that there still is risk involved. You still can end up not winning at the tables even if you use the system correctly. After all, roulette is at its heart a game of chance. Still, many beginners will find that they’re more relaxed and comfortable when playing with the Paroli roulette system at an online casino. With the Paroli Method, you can place any type of bet that you wish, but it is generally recommended that you stick to the outside bets, which include: red, black, high, low and even or odd. You begin the Paroli Method by selecting your starting bet. If you lose on a spin, you will simply place that bet again. When you win the first time, you will leave your starting bet and your winnings on the table. After your second win, you do the same, and with each subsequent win you maintain the pattern. Your chips will begin to build up rapidly when you hit a good winning streak. In addition to establishing a starting bet from the outset, it is wise to determine how much you want to win when all is said and done. This way, you’ll have a number in mind, so you can stop playing and walk away from the table when you reach your goal and you’re ahead. Let’s take a look at an example of how the Paroli Method would work. You place a bet of one chip on red. During the first spin, the ball lands on red and you win another chip. You now have 2 chips on red. You keep both chips on the board, placing a bet as you wish. You bet red again. You again win on red and now have 4 chips on the board, which you will leave in play. You bet red a third time. The ball lands on red and you now have 8 chips. Your original goal was to have 8 chips so you now remove those chips from the board. You can begin playing with your original starting bet or walk away from the table. Now, let’s say instead of winning in number 5, you lose all 8 chips. This may seem like a big blow, but in actuality, only 1 of those chips was actually yours to begin with, so you have only really lost 1 chip of your own money. In actual practice, you may lose several times before you actually begin to win with the Paroli Method. As a result, while the biggest losses will come mostly at the expense of the house, you will normally have to lose many times before you reach a winning streak that allows you to quickly begin accumulating chips. One of the most important tricks, is to track how much you’re losing on those spins in order to avoid going over your personal limit whether you’re playing online or in a brick and mortar casino. Some people prefer to look at the Paroli method as paying the bank upfront and then ultimately recovering their own money from the bank to keep things in perspective while they play. One of the things that beginners struggle with the most with the Paroli method is knowing exactly when to remove the winnings from the table and start over or quit entirely. Part of the decision is personal– someone who is risk tolerant and more after the thrill of winning big than making any income from playing roulette may want to play through more progressions than a person who is more concerned with winning throughout the night. Ultimately, the longer you leave the money on the board, the likelier that you are to use it. The mathematics will show you why. When you are playing on the outside bets you have an 18 to 37 chance of winning, slightly less than a 50-50 shot due to the presence of the green zero on the European roulette board. The odds are slightly less than that on the American roulette wheel because there are two green zeros. If you are going to play with the Paroli method at a land based casino, it is a good idea to tell the dealer that you will be using the system and let them know up front how many progressions that you wish to do. This way, the dealer will simply leave your bets in play until you have completed your desired number of progressions, and you won’t have to worry about anything but keeping track of the wheel. If you are playing roulette online, your bet will be removed from the board every time that you win, so you will need to put it back onto the virtual table yourself. Using your previous win information on the screen can help you quickly make the bet, or you can keep track of your bet on pen and paper if you wish. To get the hang of how to use the Paroli system, you may want to try an online casino that allows you to try some free spins when you first register. There are no guarantees of winning with any one roulette method, but you can use the Paroli system as a way to improve your chances of winning. Keep in mind that the numbers discussed above were statistical information and not actual predictions of how a real game would progress. If you’re looking for a simple, low stress way to approach betting at the brick and mortar or virtual tables, the Paroli system is a good method to use. Try it for yourself and see how well it works for you. 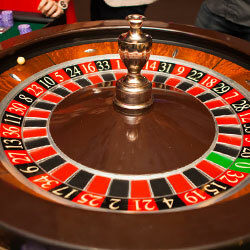 A number of roulette systems have a reverse, meaning that they can be used two different ways. A positive system where you increase after winning’s reverse will have you increase after losing, while the reverse of a negative progression system requires you to increase after winning rather than losing. The Fibonacci Roulette system is an example of a roulette strategy that has a reverse. Normally, this system is played by increasing your bet when you lose. You can read a full description of what it is and how it works, but we’ll give you a quick explanation of the traditional system before we get started. When using the Fibonacci Roulette method, you bet on any of the outside even chances: highs, lows, reds, blacks, evens or odds (read more about outside bets here). You then place bets according to the numbers, moving down the sequence as you lose. When you win, you scratch off two numbers and continue until you have eliminated all of the numbers. In this way, losses take one step forward and wins take two steps back. The Fibonacci Roulette Method uses the same sequence of numbers, only you will increase your bet and move up the sequence one step when you win and then move back two steps when you lose. The reason for doing this is to maximize the profitability of winning streaks. Let’s take a look at an example. You wager 1 unit and win. You write 1 on your paper. You wager a 1 plus 0 or 1 unit and win. Your paper now says 1 1. You wager 1 plus 1 or 2 units and win. Your paper now says 1 1 2. You wager 1 plus 2 or 3 units and lose. You scratch off the 1 2 and your paper now says 1. You wager 1 plus 2 or 3 units and win. Your paper now says 1 1 2 3. You wager 2 plus 3 or 5 units and lose. You scratch off the 2 and the 3. Your paper now says 1 1. You wager 1 plus 1 or 2 units and lose. You scratch off both numbers and start again. With this example, you have won seven times and lost 3 times, but you have only won once. This clearly illustrates the problem with this system. If you don’t hit a big winning streak with the Reverse Fibonacci Roulette Method, you just can’t make a lot of money with the system without spending hours at the table. Also, a very big losing streak can be difficult to come back from, and it can be difficult to track how much you’ve actually lost. If you do end up with a big streak, you can make a lot of money in a short amount of time. It’s important to have a goal in mind, so that you can quit while you’re ahead. Another great tip when using this system, is to only play with a set amount of money, so that you don’t end up losing more than you can afford with your budget. If you are interested in knowing other ways to beat the roulette, please take a look at our article “How to win at roulette”. 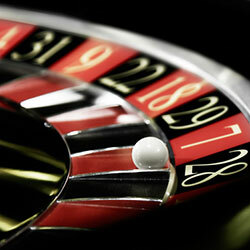 Many roulette strategies are very complicated and require players to track facts and figures on paper while they play. For very serious roulette players, these systems can be challenging and rewarding, but they’re not for everyone. Some people would prefer to play roulette for the fun of it, but would still like to increase their chances of winning as much as possible. The Flat Betting method is a good choice for those who want to enjoy playing roulette and would like a more simple roulette strategy. 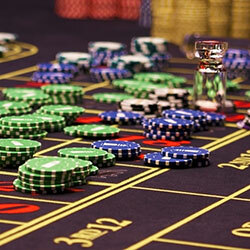 Before you begin to play roulette using the Flat Betting method, it’s important to remember that your odds of winning roulette depend on the type of roulette wheel that you’re playing on. European roulette wheels provide better odds on an even outside bet because they only have one zero. If you can find a La Partage Roulette or French roulette wheel at a land-based casino, you’ll enjoy even better odds, as these wheels provide the best returns with the lowest advantage for the house. 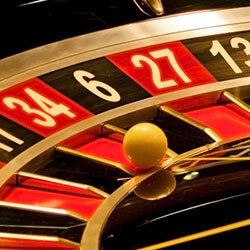 Many online casinos will give you the chance to play French roulette with the Flat betting method. Choose Your Initial Bet. With flat betting, you can choose to play any wager you wish whether it’s an inside or an outside bet. The method works on consistency rather than on a progressive system of play. For our starter example, let’s assume you placed a $10 bet on the blacks. After the initial spin, you can change your bet, but you never change the amount of your wager or your stake. You could choose to bet the blacks again or you could move to highs, dozens, a single bet or any other bet that you desire, so long as you wager $10 again. – The ability to control your risk. You don’t ever increase the size of your bet with this method of playing at the roulette, so you don’t have to worry about ending up having to bet a large amount of money or tracking numbers while you play. – Simplicity. Even if you’re a beginner, you can use flat betting correctly, and it can allow you to win big. The problem with the flat betting system is that the amount of profit that you can win is reduced compared to some other systems. In order to reach a large winning goal, you will likely have to remain at the table for a long period of time. 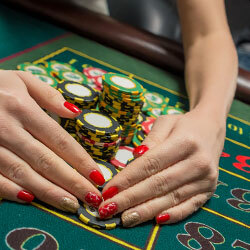 While the Tier et Tout Roulette is not nearly as well known as some other strategies for winning at roulette, it can be very effective when it is used properly, and those who try it out often find it to be a favorite roulette system. Like some other systems for winning at roulette, Tier et Tout Roulette is a positive progression system, meaning that you use the house’s money to increase your bets, so that the impact of any one loss is minimal to you. When you are playing with the Tier et Tout Roulette method, winning streaks can mean that your money grows very rapidly. To use the system effectively, you can take your original bet out of the equation when you hit these kind of streaks and just play with the money that you’ve won from the house. 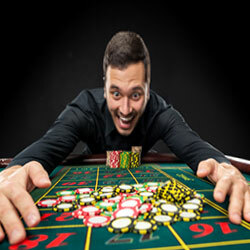 Like all strategies, Tier et Tout Roulette takes practice, which you can easily get by playing at an online casino. Start with a bank roll that is divisible by three. For our example, we will be using 9 chips to make things as simple as possible. All of your bets with the Tier et Tout Roulette Method will be on the even money outside bets: the reds, the blacks, the highs, the lows, the evens and the odds. Start by placing one third of your chips on one of the outside bets. For our example, you would wager 3 chips. If you lose, you will bet the remaining six chips on the next spin. Let’s say for this example that you win in your second spin and now have 12 chips. You will now break your winnings into thirds again, so you will have three groups of four chips. First, you bet the first set of chips. If you lose, you will bet the second set of chips. Either way, you will have 16 chips if you win. Now, 16 chips is not divisible by three, so you would take one chip out of your winnings and put it aside. You would now divide the 15 remaining chips into three to get three groups of five. The first five chips are bet on your next spin. If you lose, you will bet the next 10 chips. If you win either time, you will have 20 chips. Add your one extra chip to the 20 chips to make the number divisible by 3. Then, you divide the chips into thirds again, ending up with three groups of seven chips. You will bet the first seven chips on the first spin, and if it loses, you will bet the remaining 14 chips on the second spin. You would end up with 28 chips if either spin wins. To make your chips divisible by three, you would set aside one chip, leaving you with 27. When you divide the 27 chips into thirds, you end up with three groups of nine chips. You would bet nine on your first spin and then 18 on the second spin if it the first spin loses. If either spin wins, you will have 36 chips plus your spare chip. Now, you divide the 36 chips into thirds, giving you three groups of 12 chips. Just as before, you first wager 12 chips, and if you lose on your first spin, you will bet 24 chips on the second spin. A win with either spin will leave you with 48 chips plus your spare chip. At this point, you have won a lot, so you may wish to put some of your chips aside as profit. For this example, you decide to take out three chips, leaving you with four set aside and 45 to divide by three. You end up with 15 chips to bet on your first spin and 30 chips to bet on your second spin if you lose on the first. If you win on either spin, you will end up with 60 chips plus your extra four. Like before, you divide your 60 chips into three groups, each of which as 20 chips. Your first spin bet will be 20, and your second spin bet if necessary will be 40 chips, giving you a total of 80 chips plus your four spare chips if you win. You set aside five additional chips to take the amount in play to 75, and you have nine chips left in your pocket. After dividing 75 chips into three sets of 25, you bet 25 on the first spin and 50 on the second spin if you need to. Your winnings if either spin wins would bring you to 109 chips total. As you can see, you began playing with only nine chips but were able to finish with 109 chips. You can look at the table below for a simple summary of how the Tier et Tout Roulette Method works. Keep in mind that at any point, if you lose two spins in a row, your winnings will be wiped out. As a result, you may choose to set more aside as you play and wager less.